Washington, NJ: A new dust recovery hood for vibrating fluid bed dryers and coolers from process equipment manufacturer The Witte Co., Washington, New Jersey (www.witte.com), features a proprietary design that allows on-spec particles entrained in the airstream to be captured and gently returned into the process for recovery as finished product. Engineered with an expanding, tapered profile that reduces the airflow velocity as the process air rises, the Witte dust recovery hood cuts the volume of product lost as waste, boosts the ratio of finished product at discharge per unit of input and supports dust control efforts while reducing the size of the unit required to achieve the desired temperature and moisture content. Undersized fine particles entrained in the airstream that need not be recovered for recycling may be collected using a dust collector. 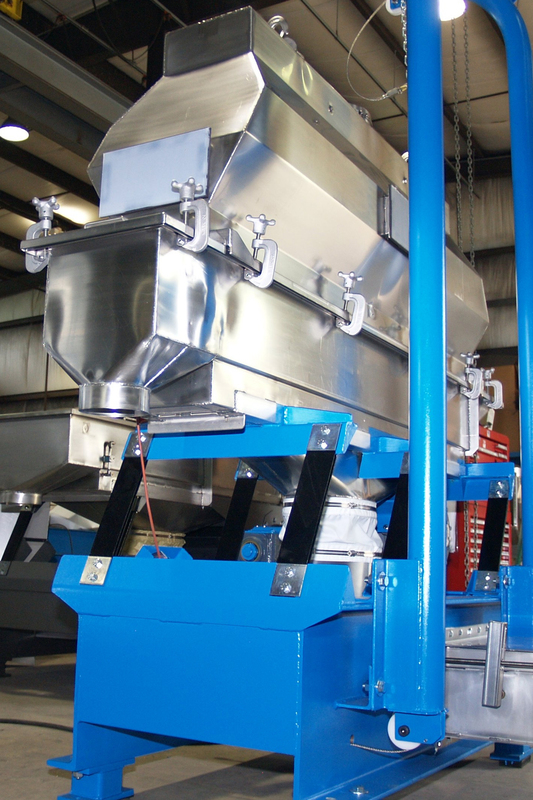 Developed for drying foods, chemicals, pharmaceuticals, aggregates, plastics, wood products and other valuable products where unnecessary waste is to be avoided, the Witte dust recovery hood is manufactured at the company’s New Jersey headquarters from stainless steel for food product contact or from carbon steel as appropriate based on the product requirements. The new dust recovery hood is available on the company’s entire line of vibrating fluid bed dryers and coolers and may be suitable for retrofit on Witte fluidized bed dryers and coolers in the field.